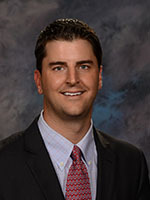 Born and raised in the Boston Area, Owen moved to Southern California in 2007 after working in golf administration for the non-profit Massachusetts Golf Association. Owen first became a SKIP committee member in 2010, and immediately put his background of golf administration to use. Owen initiated and implemented the 1st Annual SKIP Charity Golf Tournament, and has since helped to coordinate all SKIP fundraising events. Owen transitioned into a career in insurance, working for a national disability & life insurance brokerage in San Clemente from 2009-2013. 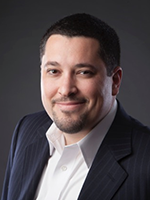 Owen recently joined the good hands of Allstate, as a Field Sales Leader. 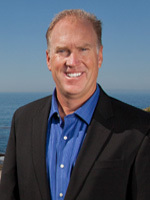 Owen was named President of SKIP in December 2013, and has been instrumental in working with City of Temecula staff and officials to help Big Springs Educational Therapy Center and School move into their new campus in North Temecula. An avid golfer, Owen lives in Temecula with his wife, and two children. As a strategic thinker, Craig’s focus on progressive marketing, innovative advertising, and leveraging his industry relationships enables him to utilize the latest industry technology to ensure his clients properties are receiving maximum exposure. While the majority of the real estate transactions he has facilitated have been single-family home sales, Craig has also handled REOs, probate, short sales, divorce sales, income properties, commercial sales and leases. His industry knowledge has been highlighted in the Wall Street Journal, Business Week Magazine, GreenSource Magazine and Orange County Register. Curtis Hollowell serves as managing partner of Remount Capital Partners, a partnership owned private banking and investment advisory firm based in Newport Beach, CA. Curtis provides strategic advice to entrepreneurs, business owners, and their families by helping them create, grow and protect their capital and related business interests. Curtis has a deep understanding of the ERISA plan market and provides advice as a 3(21) fiduciary to plan sponsors who rely on him to help grow and protect their corporate retirement plans. Curtis provides fee only asset management and advice to individuals and businesses throughout Southern California. Over his twenty years of practice, Mr. O’Malley has won substantial victories on behalf of his clients and has garnered a reputation as a skilled, ethical advocate. Mr. O’Malley has abundant experience in both sides of high stakes litigation. On the defense side, he has prevailed in cases involving billions of dollars in exposure and served as national counsel to various Fortune 500 companies in complex business litigation matters. 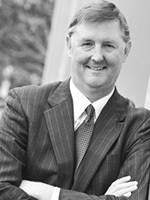 On the plaintiff side, Mr. O’Malley has secured many multi-million dollar settlements and/or judgments for his clients. Within the last eight years, he has been involved in securing over $200 million in verdicts and settlements on behalf of his clients, who have often lauded his performance not only for his legal skills but also for the favorable impact his results have had on their lives. 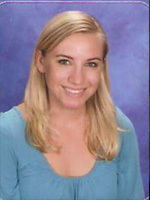 Jennifer serves as the educational psychologist for Big Spring’s clinics and schools. She runs counseling and social skills groups during and after school. Jennifer serves as the director and one of the supervisors of Big Springs ABA program. She has created an innovative program that combines the principles of educational therapy and Applied Behavioral Analysis in order to help cultivate students with behavioral problems into successful learners. Jennifer also runs parenting in-services on a variety of topics for parents of children with disabilities (i.e. dyslexia, Autism, dyscalculia, etc.). Jennifer earned her Bachelor’s degree in psychology from Concordia University Irvine and her Master’s degree in Educational Psychology from Azusa Pacific University. She lives in Temecula with her husband and two sons.